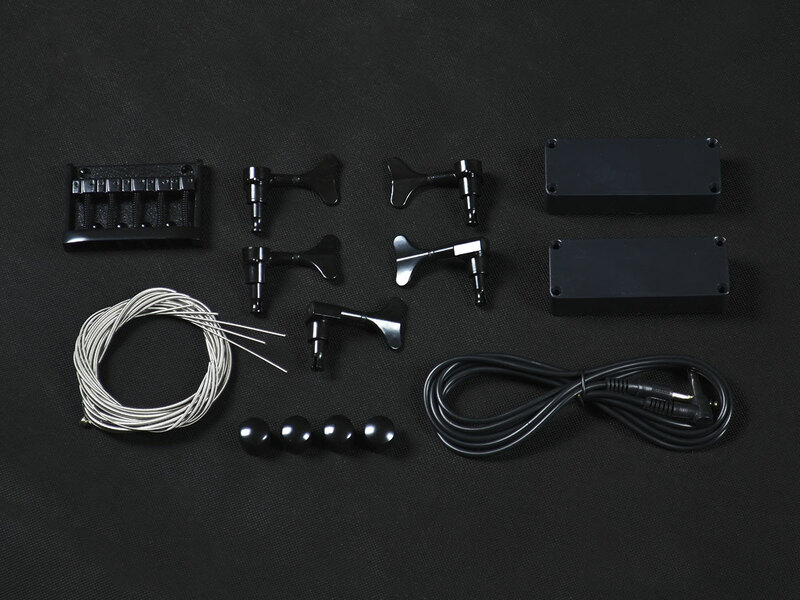 What is a DIY Guitar Kit? A shaped, but usually unfinished and unassembled guitar. 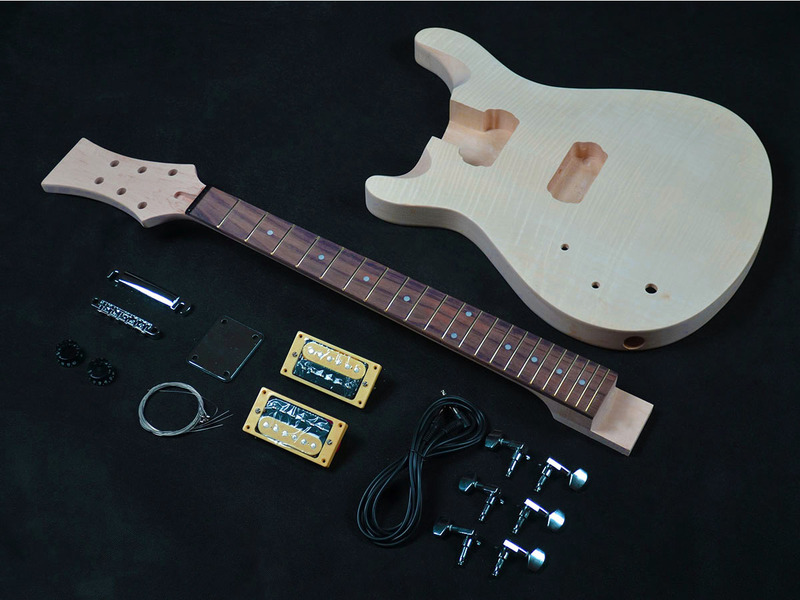 When it comes to our range, all models are unassembled, but we have a range of pre-finished guitar kits. Unfinished means the timber is raw and needs to be prepared (sanded) as well as "finished" with paint or oil or some sort of stain. Are they genuine brand guitars like Fender or Gibson? No. Almost every kit is heavily inspired by a particular brand and style, but no, they are not made by a brand name manufacturer. We often refer to a kit as being a certain style (e.g. "Fender Stratocaster style") as our customers tend to be looking for a particular design. However we are not suggesting the kits are a copy or a counterfeit product. It's the same as the thousands of "no name" completed guitars sold in music stores worldwide, but in this case they're in "kit" form. What’s with the weird headstock design? 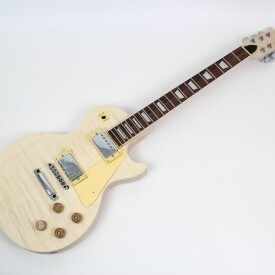 The reason guitar sellers including ourselves are able to supply guitars that look similar to brand name models is because there are no trademarks on the design of the body. However in many cases manufacturers have protected their headstock designs and so we are unable to supply headstock's pre-cut in these shapes. Instead those kits come with a "paddle" headstock where you can cut it to your desired shape. Many builders prefer this anyway because it is an opportunity to create something unique. Why on earth would you want to build a guitar? This is a good question, but we need to find out exactly what you're asking. 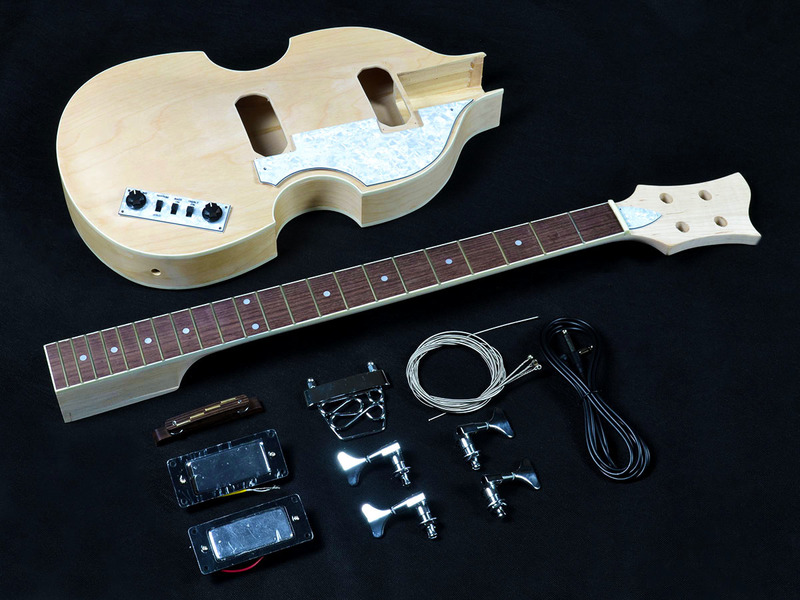 Is it why would you build a guitar using a kit? 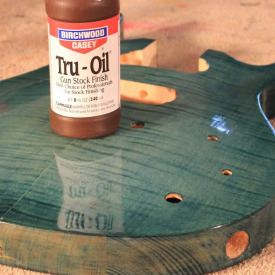 Some guitar builders hate the idea of kits because they prefer to do everything from scratch. If that's you, then thanks for visiting. You have the skills and equipment to do this, but many people do not and that's where the kits come in. Or are you asking why do this considering the amount of time involved? Building a guitar, even from a kit, does take considerable time. Much of that time is waiting for the finish to dry, but DIY-ers appreciate the reward that comes from building something yourself is immensely satisfying. You might also be asking why bother considering it is cheaper to get a professionally built guitar with a warranty from a store? Just like time, money really isn't the point. 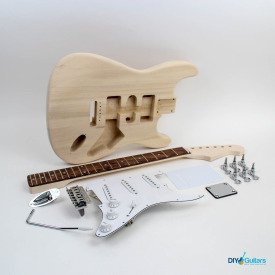 DIY Guitar kits allow you to create a unique guitar, with your favourite parts, that you can't buy in a store. Sure, some of the kits, particularly at the higher end, are a much cheaper solution than the real thing. 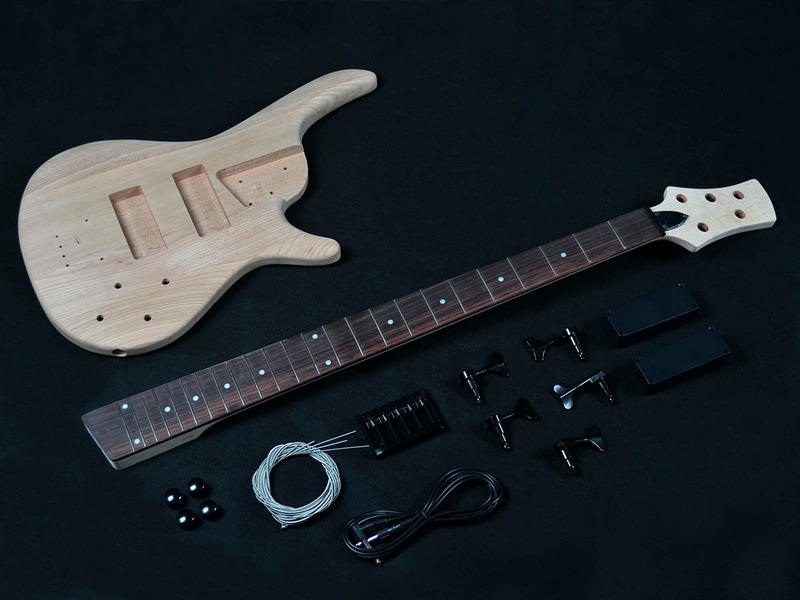 To us, this is just a bonus as the main motivation for buying a kit is the enjoyment that comes with building your own guitar. 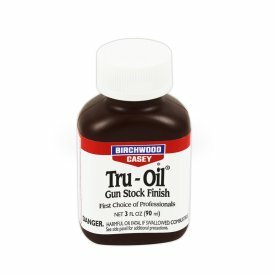 Hey we like saving a buck too, but we also like teaching our kids woodworking skills and introducing them to music from the ground level. 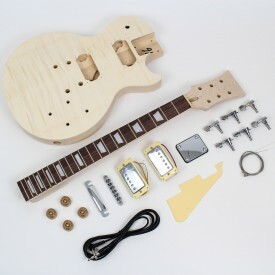 Most builders find guitar kit building to be a challenging, enjoyable and addictive hobby. 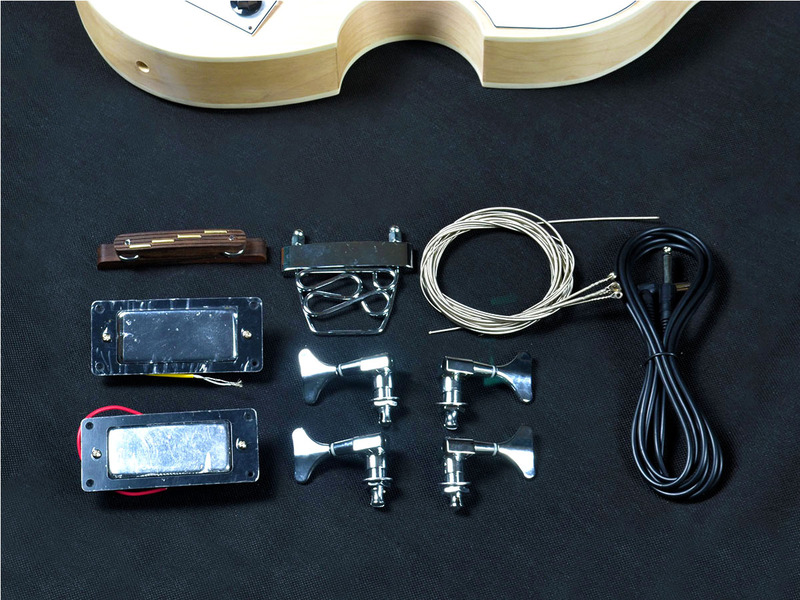 How hard is it to build a DIY Guitar Kit? Okay for this one I need to find a balance between telling you the truth, but encouraging you to have a go. Perhaps better questions are what are your expectations and how much tenacity do you have? Some people are content to whack some paint on, bolt everything together, power up an amp and play. If that's you, then you're in the right place. It is still challenging to work out what goes where, get the wiring right and intonation, but you'll definitely get there. We have a forum where you can ask questions from us and other builders. However most people expect a pretty decent final result. Many of the finished guitars are fantastic. Look, this is no Ikea kit. There is quite a lot of work involved, tools required and the more experience and patience you have, the better the result. If you're not confident or you can see yourself losing interest at the first hurdle, then this isn't for you. However if you're not sure then consider a pre-finished model or even a ukulele kit. Some kits are easier than others, so check out the ones we consider to be for beginners. At the end of the day though, you'll have to decide if this is for you. If you expect every step to be smooth or think that the first guitar you build will be as good as one built by a luthier with 20 years experience, then this isn't for you. If you're up for a challenge, we'll do our best to help you. Just appreciate that the learning to build a guitar is the same as learning to play it. It takes a short time to learn, but a lifetime to master. Mostly just basic tools such as screwdrivers, a drill and a spanner. One thing you might need is a basic soldering iron. If your kit that has a set neck, you'll need a clamp to hold the neck in place after it has been glued. 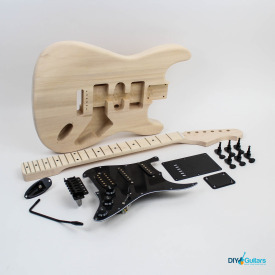 There are many ways to finish a guitar and we have a huge range of models, so it is hard to provide the exact steps to completing your guitar. However there are a number of resources to help you. Firstly read this article to get an overview of the process. If you have a question, drop a note in our forum. Finally, check out the huge number of videos at YouTube. We stock an enormous range of popular styles and the majority of customers build these as intended. However we get a lot of questions asking for modifications such as routing for a Floyd Rose, a particular finish or different designs. The kits are produced in bulk to tested designs and our supplier requires us to buy certain minimums of each model. Therefore making changes, even small ones, is not as easy as you might think. Right now this is not a service we provide.